There was nothing sweeter than playing golf with my Dad. When I was attending Pepperdine College in the late 1960s, golf was a wee bit of a financial extravagance for me. So getting an invite to play with Dad was always welcomed. 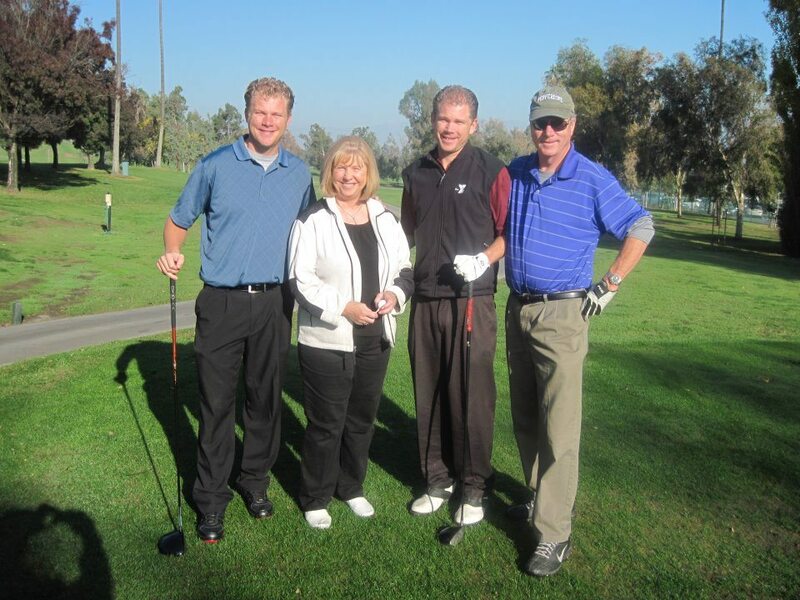 He was a golf-playing lawyer then, a 10-handicapper with a smooth, self-taught swing. He was never long off the tee, but usually pretty deadly with his irons, an original set of Pings. My favorite memory is playing the South Course at Los Serranos with Dad and my two cousins, who were visiting us from Colorado on vacation in 1968 or ‘69. We engaged in the usual banter on the first tee about setting up our game. Besides a four-man best ball, we also agreed to paying a quarter for all pars and a buck for all birdies. And then I blurted out, “How about $10 bucks for a hole-in-one?” Agreed. So off we went, Dad was playing well. Had some pars, missed a few birdies putts, shot about a 42 on the front before he made the turn. It was a good day, playing golf with my Dad, that got even better on 12. He had honors, and selected a 5 iron. He made a good swing, made solid contact, and held his follow-through as he watched the flight of his ball. It landed on the front edge, took a little hop to the right, and rolled about 15-feet before it toppled into the hole! Very, very cool. I saw my Dad make an ace. The thing about the 19th Hole that day was that I don’t remember ever seeing him happier. He was smiling non-stop, and his smile grew especially wide when he made sure that my cousins and I each paid him the $10 bucks. Dad passed away in 2009. He was 88. He had given his original Pings to Grady, one of his golf-playing grandsons, who later became a cart boy at Los Serranos. I miss playing golf with Dad. But now I play golf with my sons. And that is just as sweet. If you have a 19th Hole Story that you would like to share, please contact Zeb Welborn at Zeb@WelbornMedia.com with your greatest golfing memory. Posted in #GolfChat, 19th Hole Stories and tagged 19th Hole Story, Hole in One, Larry Welborn, Pings, Playing Golf with Dad.